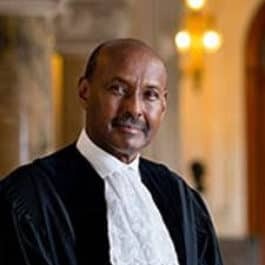 Abdulqawi A. Yusuf is a Judge of the International Court of Justice, The Hague, The Netherlands and Vice-President of the Court since February 2015. He is a member of the Institut de Droit International, a member of the panel of arbitrators of ICSID, and a member of the Governing Board of ICCA. He is the founding Chairman of the African Institute of International Law (AIIL), Arusha, Tanzania, founder and General Editor of the African Yearbook of International Law. He is the author of numerous publications on various aspects of international law. He holds a Ph.D. in international Law, IUHEI, Geneva.